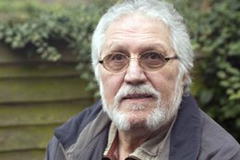 Former BBC Radio 1 presenter Dave Lee Travis has been charged with 12 sexual offences, Scotland Yard has said. The 68-year-old faces 11 counts of indecent assault and one of sexual assault and will appear before Westminster magistrates on 23 August. Mr Travis, of Mentmore, Bucks, said he was "disappointed and surprised" to be charged and denied the claims. The allegations date from 1977 to 2007 and relate to nine female complainants aged between 15 and 29 at the time. Mr Travis was questioned by police as part of Operation Yewtree, an investigation into historical claims linked to the entertainment industry. The probe was launched in the wake of revelations against ex-TV presenter and Radio 1 DJ Jimmy Savile. The operation has three strands. One is looking specifically at the actions of Savile and the second strand concerns allegations of sexual offences against "Savile and others". Mr Travis's arrest falls within a third strand, relating to alleged complaints against other people unconnected to the Savile investigation. Mr Travis is best known for his 25-year stint on BBC Radio 1 which ended in 1993. He also presented editions of Top of the Pops on BBC TV in the 1970s and 1980s, and had a radio show on the BBC World Service. Mr Travis was first arrested in November 2012 and released on bail. He was rearrested in March and questioned about further allegations. His solicitor Martin Bale said the former DJ had answered bail at a police station in London and was informed that he was being charged. In a statement, the Crown Prosecution Service said it had authorised police to charge Mr Travis. It said he had been charged under his real name of David Patrick Griffin. Alison Saunders, chief crown prosecutor for CPS London, said: "We have carefully considered the evidence gathered by the Metropolitan Police Service as part of Operation Yewtree. "Having completed our review, we have concluded that there is sufficient evidence and it is in the public interest for Mr Griffin to be charged." She said prosecutors had decided that no further action should be taken in relation to seven separate allegations.